Q: What time can I check in and out? A: Check-in time is 4 PM. Check-out time is 11 AM. A: No, unfortunately, it does not allow pets. Q. Is parking available on-site? A: Yes, Legends has a heated underground parking garage. Parking is $17 + tax per vehicle per night. The garage is 7 Feet 6 Inches / 2.2 meters. Q: Is there somewhere to park my oversized vehicle? A: Yes, however, it is not secure and we recommend that oversize vehicles are left at home. Q: Is there bike storage? A: Yes, there are bike racks located on P3 in the secure underground parking lot. It is only accessible with a swipe key. Q: Is there ski storage? A: Yes, there are guest lockers located on the lobby level. Guests are provided with a lock for a $20 deposit which is refunded once the lock has been returned. Q: What are the hours of the pool, fitness room, media room and alpine room? A: The pool, hot tubs, media and games rooms are open from 9 AM to 11 PM, the fitness room is open from 7 AM to 11 PM. Q: Are there BBQ's at Legends? Can I reserve these in advance? A: Yes, there is a common BBQ and BBQ utensils for guest use located on the pool deck. The BBQ's are available on a first come first serve basis. Q: Does Legends have wireless internet? If so, what is the cost? A: Yes, it does have wireless internet at no additional fee. All of the connection details are listed in the information binder of your mountain home. Q: Do you have daily housekeeping? A: Yes, we provide daily removal of trash and changing of towels, if necessary. Sheets are cleaned every 3rd day. Q: Is there a minimum age requirement at Legends? A: Yes, the lead guest must be at least 25 years of age. Upon check in the lead guest will be asked to provide identification to ensure that they meet the age requirement. Any reservation made under false pretenses will be subject to forfeiture of advance payment, and the party will not be permitted to check-in and/or the party will be required to vacate the property. 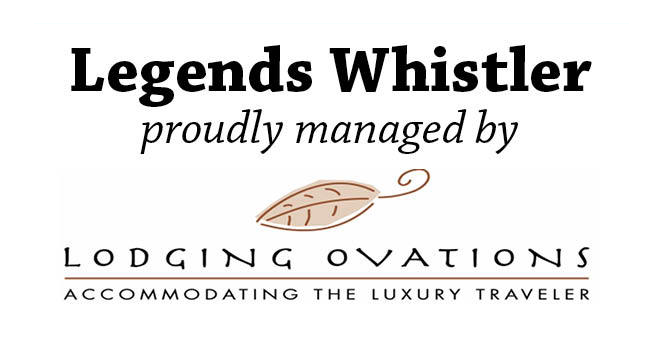 Q: Is there a standard minimum length of stay requirement at Legends? A: Typically there is a 2 night minimum on Friday night and a 3 night minimum on Saturday night. Holiday periods and event days can have up to a 7 night minimum length of stay requirement applied. A. No, we do not accept 3rd party bookings. The credit card holder must be present at the time of check in. 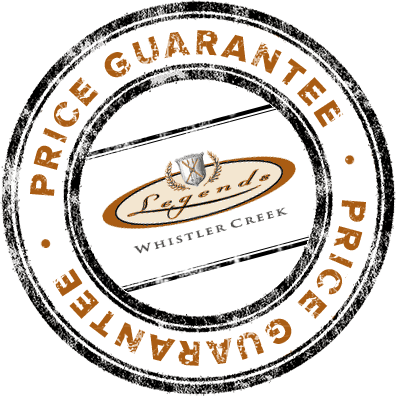 Q: What is Legends cancellation policy? A: A non-refundable deposit of one night's room plus tax is due at the time of booking. Cancellation outside 45 days (Winter*) 14 days (Summer**) prior to arrival will forfeit the deposit amount. Full payment is due 45 days (Winter*) 14 days (Summer**) prior to the arrival date. Once full payment has been taken, no refund will be given if all or any part of a reservation is cancelled. Q: How far is it from Whistler Creekside to Whistler Village? A: Whistler Village is 5KM/3M North of Whistler Creekside, which is between a 10-15 minute bus ride. Q: Does the Creekside Gondola run year round? A: No, it is closed in the spring and fall. It opens on Whistler Blackcomb's opening day of the winter season, usually mid-November. Then closes around mid-April, then re-opens for the bike park around mid-June and closes again mid-September for the fall. (exact dates are subject to change, so it’s best to check with reservations for confirmation). .
Q: Do you have a restaurant onsite? A: Yes, Dusty’s Bar & BBQ is located in Legends (access from outside) and operates for lunch and dinner in during the winter, spring and summer and closes in the fall. Breakfast is available during the winter months (from mountain opening until the Creekside Gondola closes) from 7 AM – 11 AM. A: No, smoking is not allowed inside any units. Fines for smoking indoors will vary depending on damages involved.